If you have a crafty kid on your gift list this year (or just one that needs to stay busy indoors in the cold winter months ahead!) Kid Made Modern craft projects give caregivers and children the opportunity to do something together - something they'll both enjoy. These products are fun, high quality, safe and affordable. Directions/guidance are provided, but the outcome is up to you, whether it's a jewelry making kit, an outdoor chalk party ensemble or a masking tape mosaic shirt creation kit. Check out three of their kits that make great gifts this year! 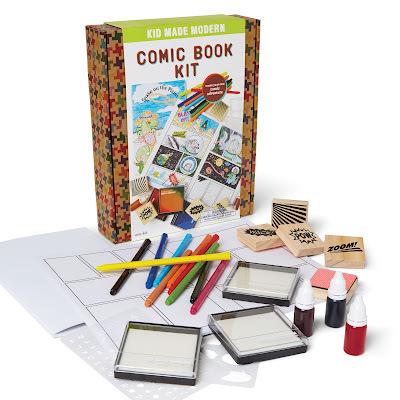 The KMM Comic Book Kit has everything you need to create your very own comic book! Each kit comes with alphabet template, 3 POW, WOW and BOOM stamps, 2 stamp pads, 8 markers and 2 printed blank cell comic books. Take your drawing projects on the go in this striped lunch box! 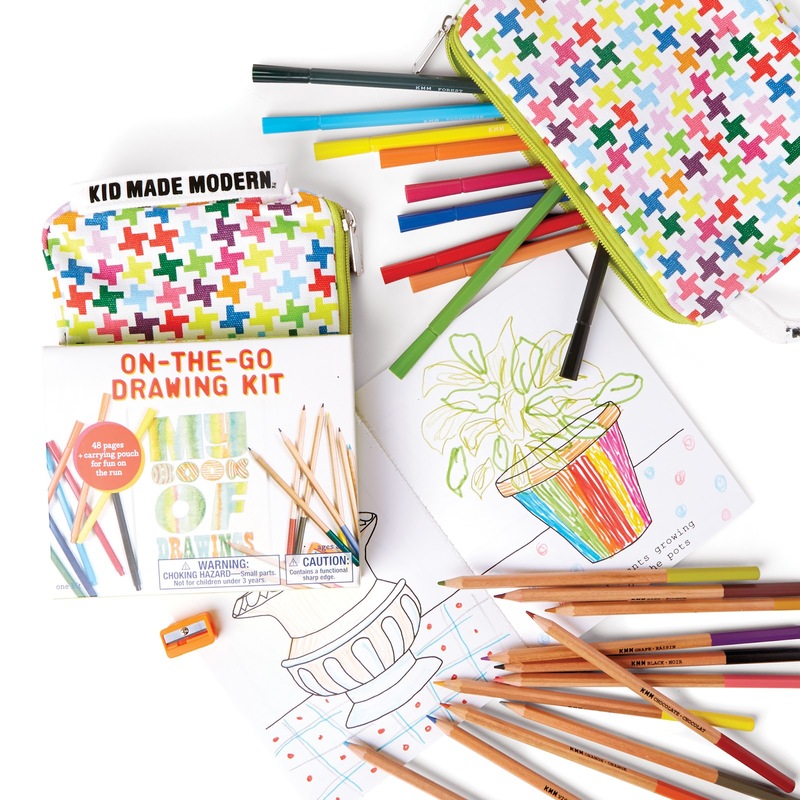 Each kit has 10 markers, 12 mini colored pencils with sharpener and a partially drawn 32-page activity book ready for you to finish. This kit is a perfect activity for a cold snowy day. 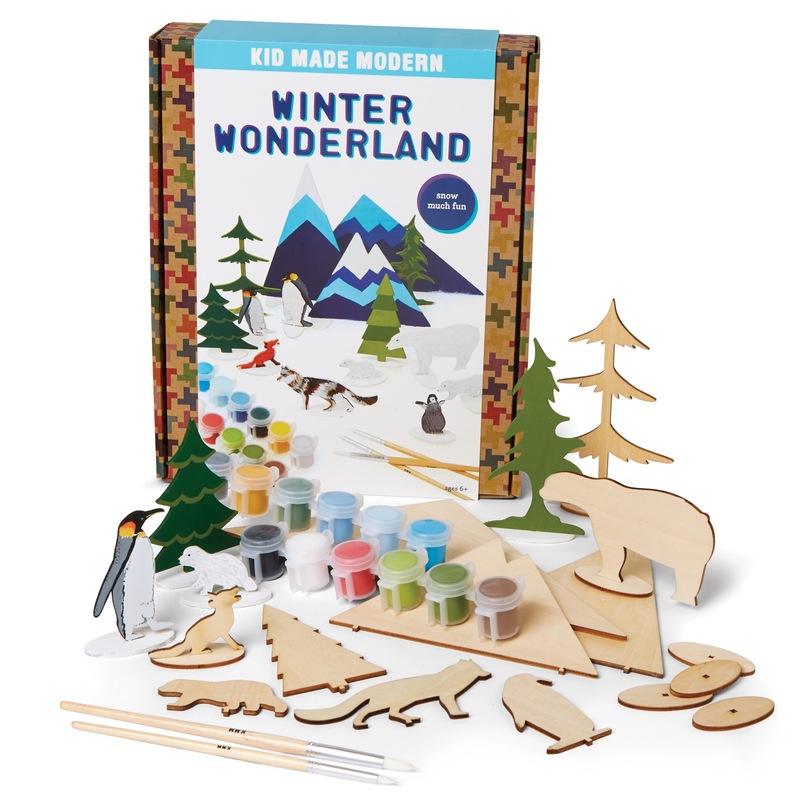 Create your own wintery landscape with the Winter Wonderland kit. Paint mountains, trees, polar bears, penguins and much more! You can purchase these kits at Macy’s, Whole Foods, Barneys, and museum shops and boutiques and some Kid Made Modern Kits are also at your neighborhood Target!